It was a beautiful fall day in Cape May, and monarchs drifting overhead and visiting gardens provided part of the day's charm. The census count was down slightly from yesterday, with each day yielding around 50 monarchs/hour. Not a huge influx, but the best days of the season so far. We're expecting favorable winds again tomorrow, so there's a chance that our numbers will rise again. tag monarchs late on Tuesday afternoon. 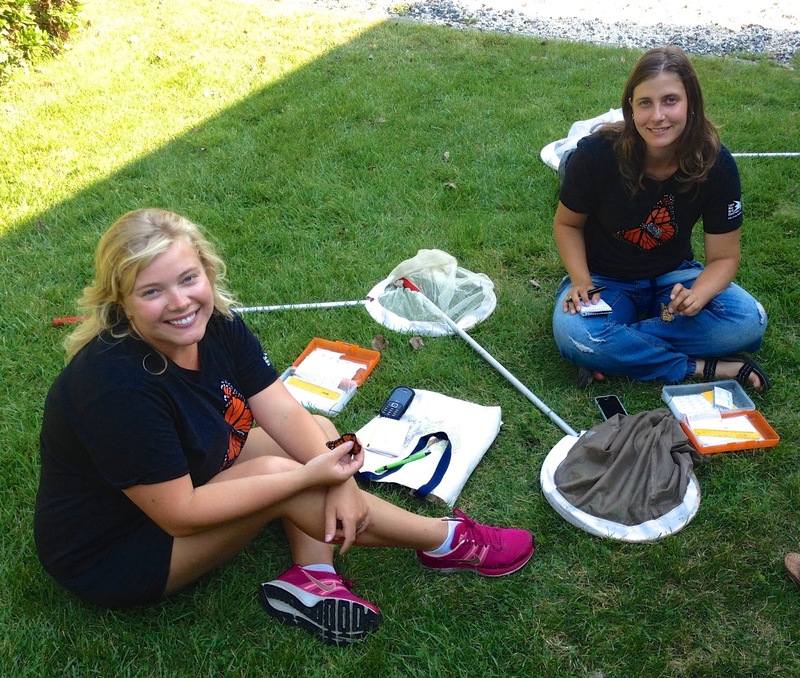 While it was a good day for monarch butterflies in Cape May Point, it was a spectacular day for the Monarch Monitoring Project in our efforts to educate and inform the public about monarch butterflies and their troubled status. This morning we enjoyed reading about the project in a feature article from the Philadelphia Inquirer, which you can see online by clicking here. Then, this evening, Lauren Wanko's video story was aired on NJTV News, and you can see that story right here. It's just over two minutes in length. 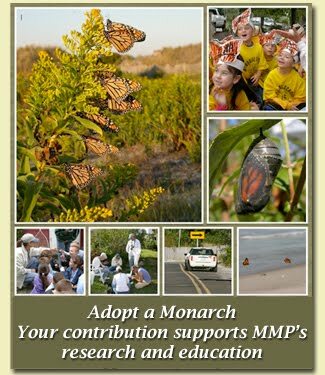 We thank those in the media who help us spread the word, and we thank all of you who follow and support the Monarch Monitoring Project. Please help us spread the word by directing others to subscribe to this blog and/or to "like" our project FaceBook page, which is https://www.facebook.com/CMMonarchs.